University of Greenwich shows the way! After the crash of 2008, in the midst of the Second Great Depression, students around the world have been calling for radical changes in the way economics is taught. 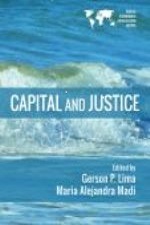 They know that the discipline of economics, today as in the past, includes more than neoclassical economics—but, for the most part, students are not being exposed to concepts and methods other than those of neoclassical economic theory. There are, of course, a handful of departments where non-mainstream theories have been developed and taught, alongside and in addition to neoclassical (and, for that matter, traditional Keynesian) economics. In the United States, in terms of Ph.D.-granting institutions, they include the University of Massachusetts at Amherst (where I received my degree), American University, the University of Missouri-Kansas City, the University of Utah, and New School University. As Aaron Steelman recognizes, that handful also once included the University of Notre Dame. But that is no longer the case, since the current Department of Economics advertises itself as as purely neoclassical department. Sir, The FT is far from alone in, once again and for the umpteenth time, decrying the “scandal” that a section of the financial sector – this time the foreign exchange market ​– has “remained immersed in a culture that subordinates everything to making money” (editorial, November 13). University economics departments cannot escape their share of the blame for this, so crucial have they been in recent years in providing academic justification for this “culture”. Economics is, according to the orthodoxy now almost totally dominant in these departments, a discipline whose very identity is inseparable from the calculus of maximisation and minimisation. This standpoint is not limited to those of a neoliberal orientation; on the contrary, among its most dogmatic adherents is the outspokenly non-neoliberal Paul Krugman, who states quite simply that the economist is a “maximising-minimising kind of guy”. Krugman is, however, exceptional in his radical views, and the inevitable bias that results from the exclusion from the economics curriculum of alternative approaches is towards turning out students who are ready-primed for incorporation into the “culture” that is revealed with such depressing regularity every time there is a thorough investigation of financial misdemeanours. Fortunately, an increasing number of economics students are raising their voices against a curriculum which has become, in effect, little more than an indoctrination into that heinous “culture”. It is about time the managements of economics departments stopped exploiting their freedom to appoint and promote their staff to perpetuate this situation. Let us hope that the demands of their students and of the wider public can begin to force them once more to open their doors to adherents of alternative approaches, and thus to reflect within themselves the debates on economic issues that rage in the world outside. This is a brief update on progress with the World Economics Association Textbook Commentaries Project. . . . The current state of play is as follows. The October issue of the WEA Newsletter has just been made available on the web. Details will be circulated to WEA members shortly. The issue contains an announcement about the project and some other related pieces. It could perhaps be considered as a formal launch of the project to the wider community. In addition, I have just presented a paper in Buenos Aires explaining some of the background to and reasoning behind the project. The paper is available at: http://ssrn.com/abstract=2515373. I will be giving similar talks elsewhere in the next few weeks. I’ll be in the UK in late November-early December and could fit in one or two additional talks if there is interest. I have just accepted an offer to become Head of the School of Economics, History and Politics at Kingston University in London. I will take up the appointment in time for the Autumn term, which starts on September 23rd. 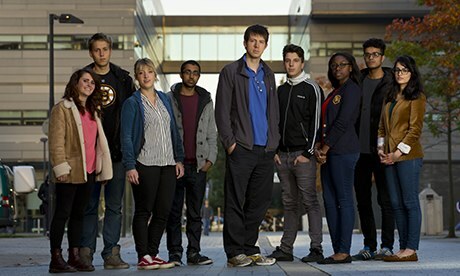 Kingston will respond positively to calls from students for genuine reform of economics education—like those made by the Post-Crash Economics Society in Manchester, and the International Student Initiative for Pluralism in Economics (which was launched only days ago). These student calls for genuine reform are timely, because though there are some initiatives for reform, academic economics has, if anything, become more hostile to criticism of the mainstream and to presentation of alternative perspectives than it was before the crisis. 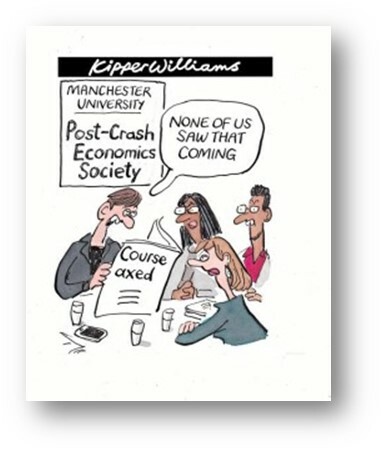 The Post-Crash Economics Society at the University of Manchester has published a comprehensive, 60-page report on undergraduate teaching of economics at the University. 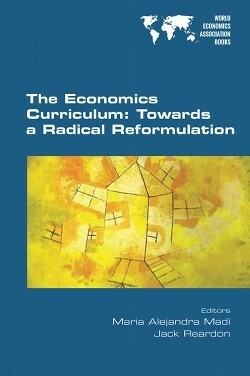 Called ‘Economics, Education and Unlearning’, it can be downloaded at www.post-crasheconomics.com/economics-education-and-unlearning/. 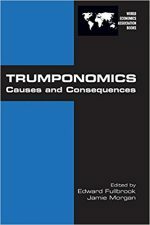 Highly recommended to anyone who wants economics to get back in touch with the real world. The recent Great Financial crisis has restated the menace of deep depressions among the current economic challenges while the livelihoods turned out to be subordinated to speculation, financial instability and the bailout of domestic financial systems. Looking backward, in the context of the 1930 Great Depression, John Maynard Keynes pointed out that the evolution of capital markets increases the risk of speculation and instability since these markets are mostly based upon conventions whose precariousness affects the rhythm of investment and increases pressures on the political sphere.